Everyone loves roses, and nothing makes you feel special like receiving a gift of roses. Wouldn’t it be great to give a gift of roses that will last? 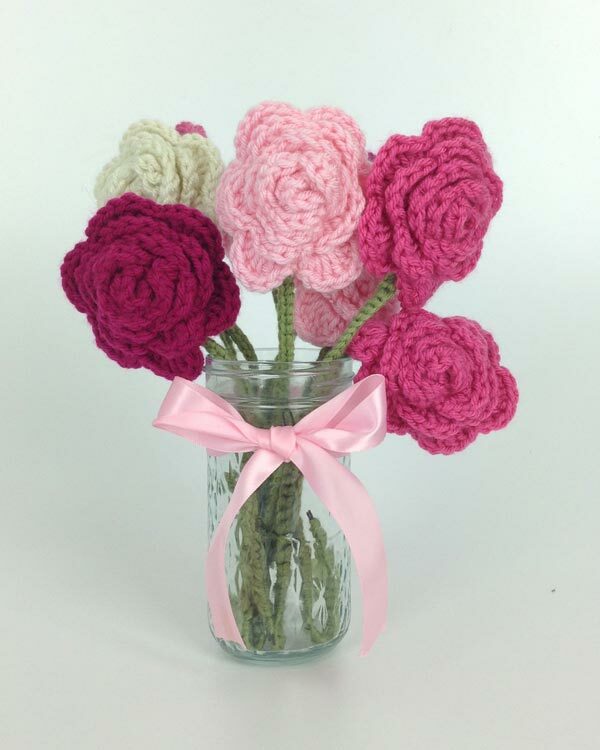 With this Bouquet of Roses crochet pattern, you can do just that. Make one or several, mix and match colors, get creative with it. The possibilities are endless. 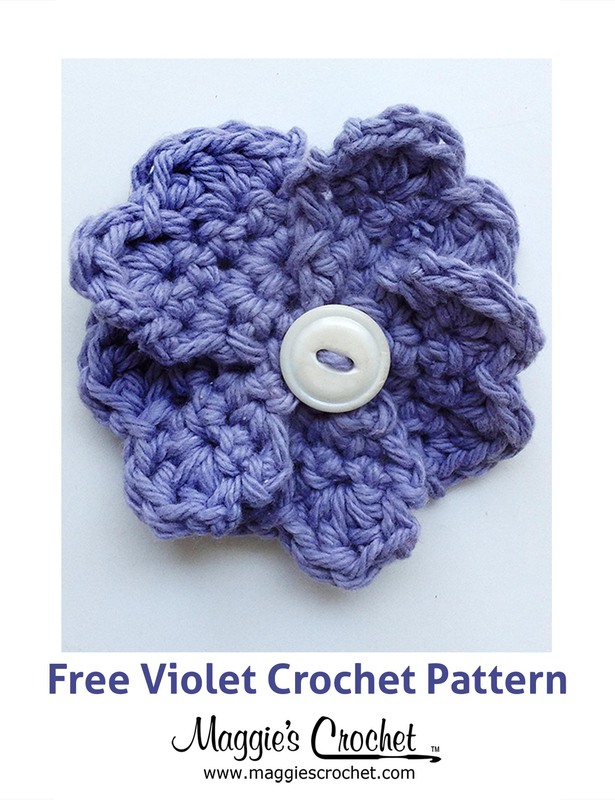 For this project you will need a worsted weight yarn like, a size 7 (4.5mm) crochet hook, a yarn needle and several pieces of floral wire. You can use a flower vase to hold your roses, or something as simple as a plain drinking glass or even a mason jar. We’ve also added a piece of ribbon to the jar to add a touch of elegance. Ready to get started? Let’s make some roses. 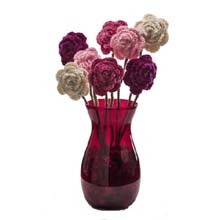 Now you can always have fresh roses to brighten up your home and your day. 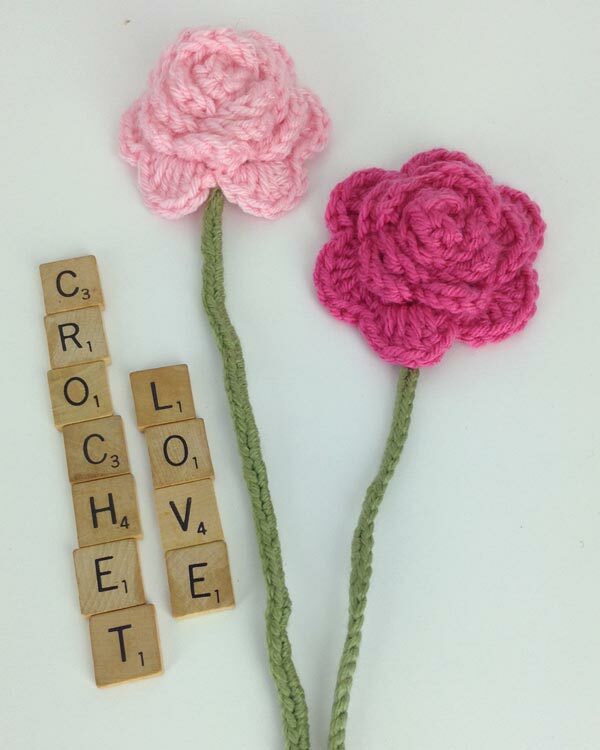 Crochet is great for making floral projects. Check out these Starbella Lace Fleurettes. We used them to give a new, up-to-date look to an old handbag. 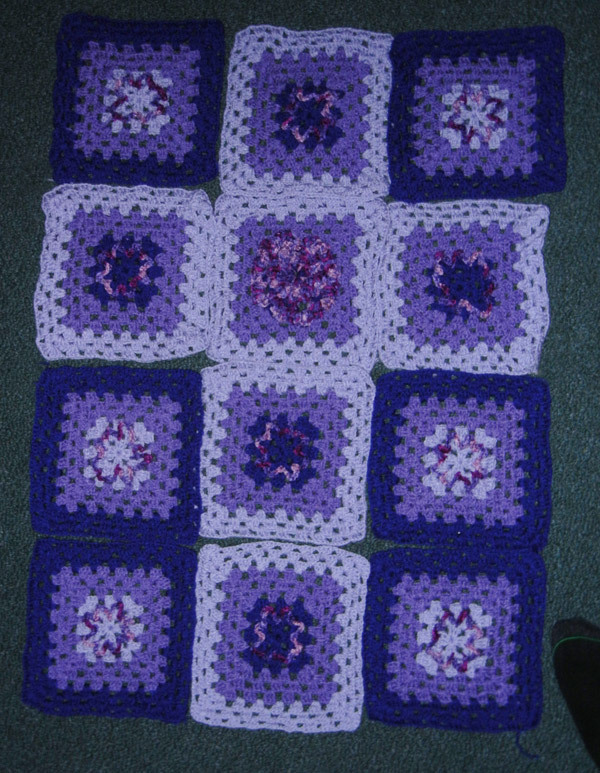 What would you do with crocheted floral accents? Rnd 1: Ch 2, 8 hdc in ring. Rnd 2: [Ch 2, sk 2 hdc, sl st in back of next hdc] 3 times. Rnd 3: [(Hdc, 2 dc, hdc, sc) in next ch-2 sp] 3 times. Rnd 4: [Ch 3, sl st in the first dc of petal] 3 times, ch 3, sl st to next sc. Rnd 5: [(Hdc, 2 dc, hdc, sc) in next ch-3 sp] 4 times. Rnd 6: [Ch 3, sl st in the first dc of petal] 4 times, ch 3, sl st to next sc. Rnd 7: [(Hdc, 3 dc, hdc, sc) in next ch-3 sp] 5 times. Rnd 8: [Ch 4, sl st in the first dc of petal] 5 times, ch 4, sl st to next sc. Rnd 9: [(Hdc, 4 dc, hdc, sc) in next ch-4 sp] 6 times. 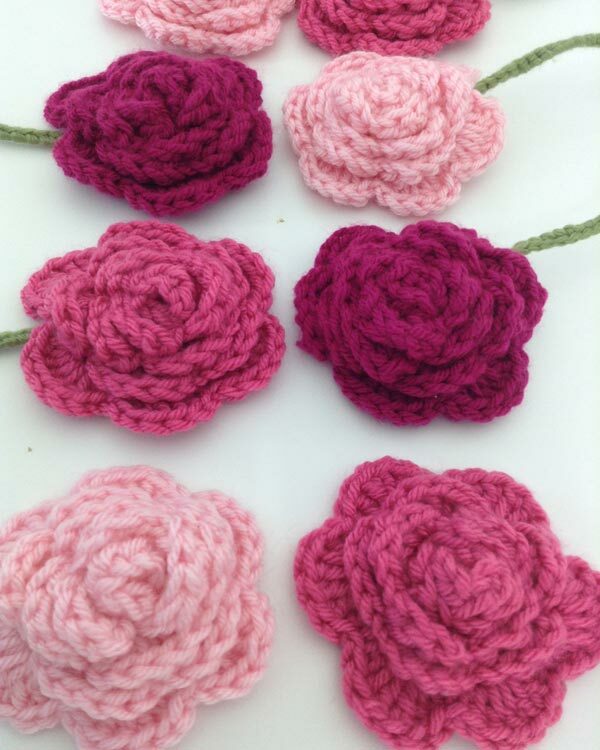 Make 2 Roses each in colors A, B, C, and D.